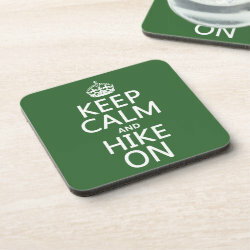 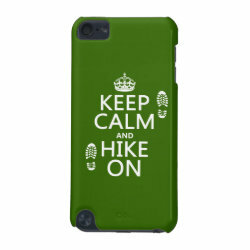 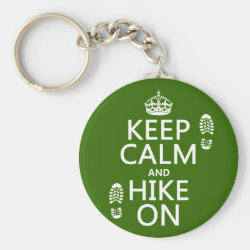 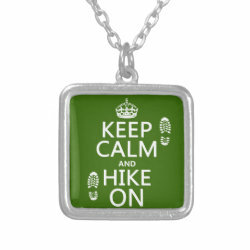 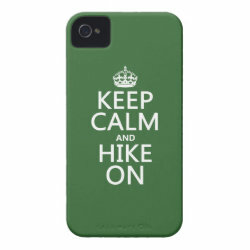 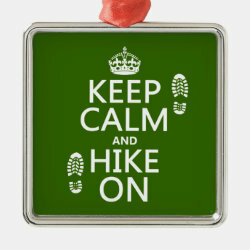 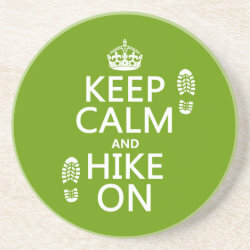 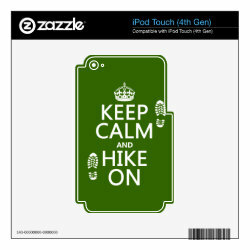 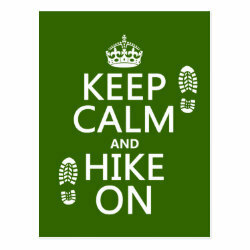 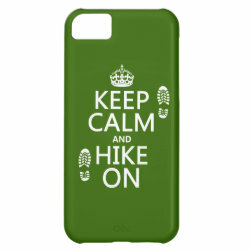 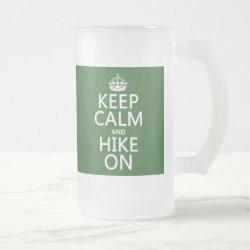 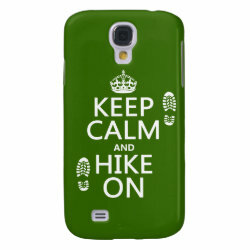 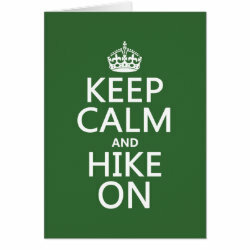 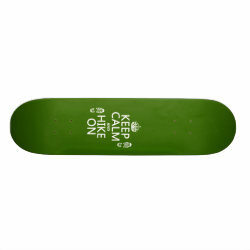 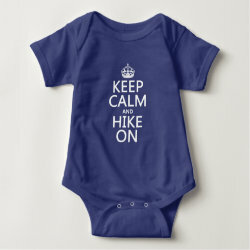 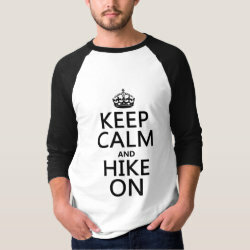 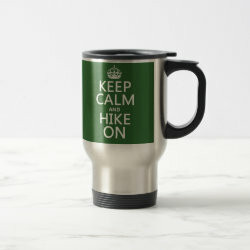 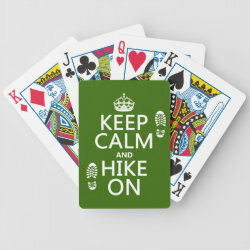 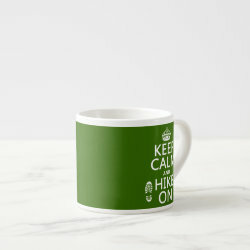 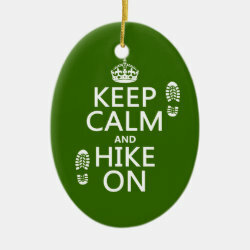 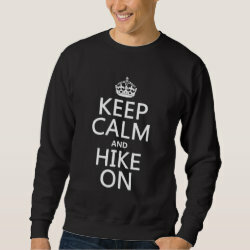 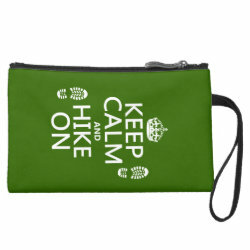 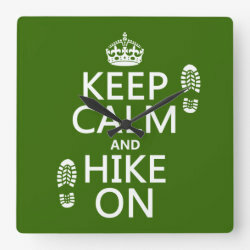 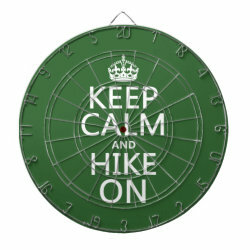 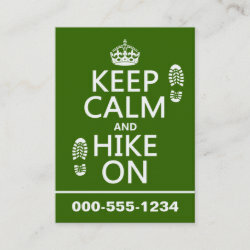 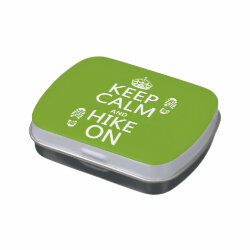 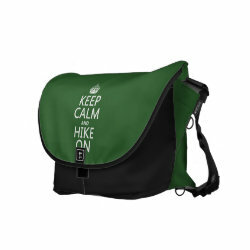 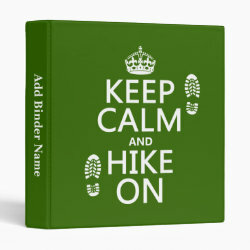 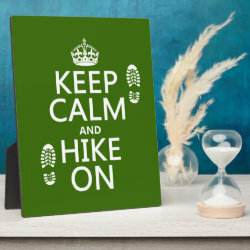 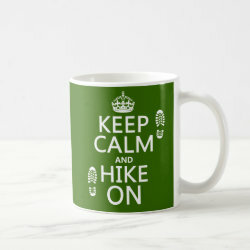 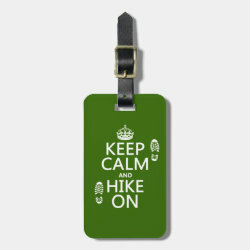 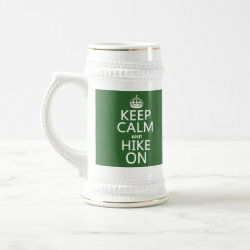 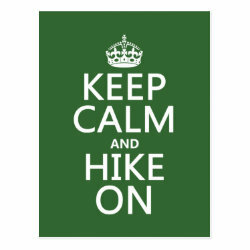 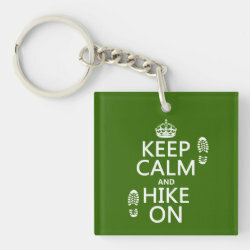 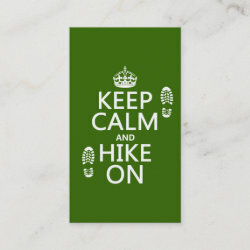 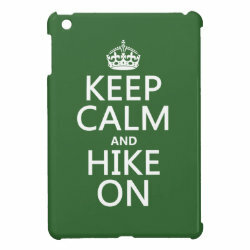 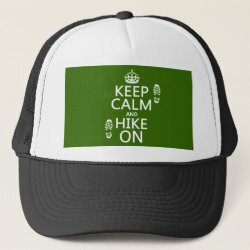 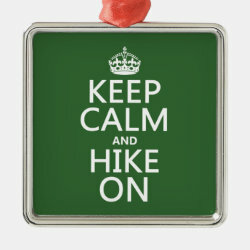 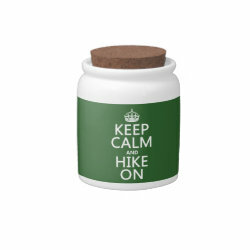 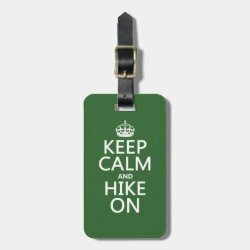 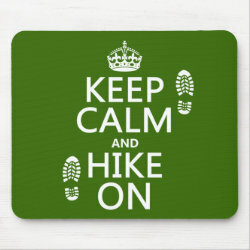 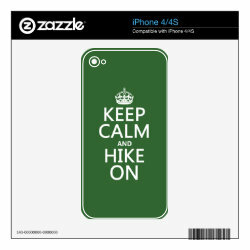 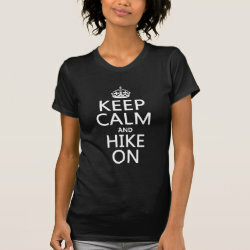 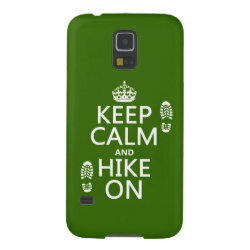 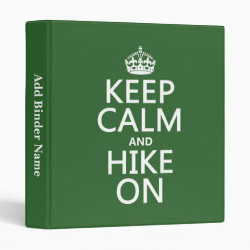 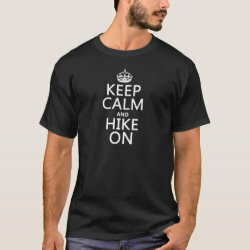 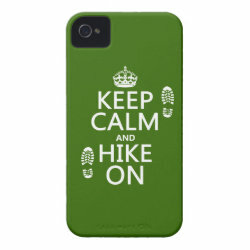 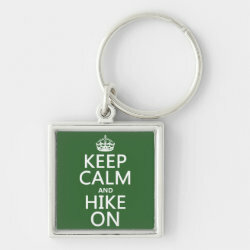 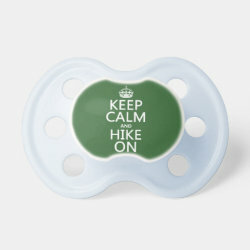 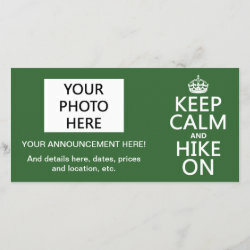 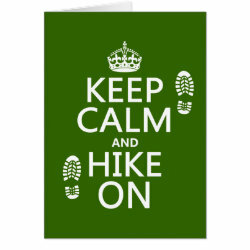 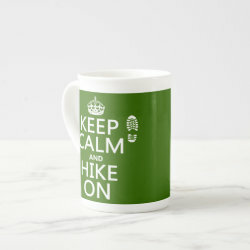 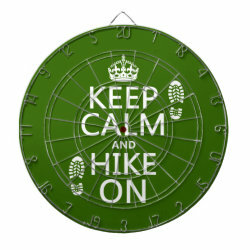 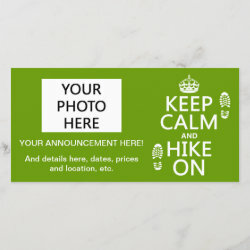 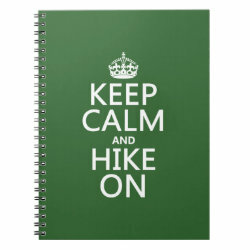 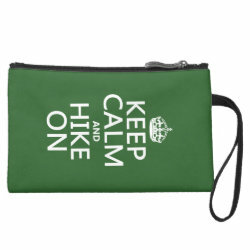 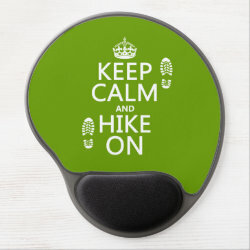 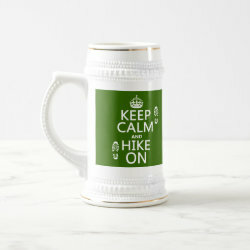 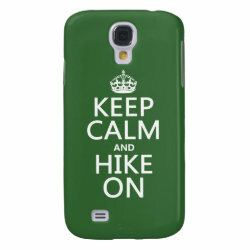 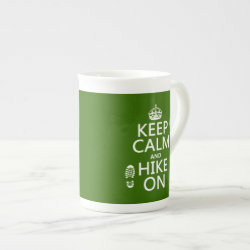 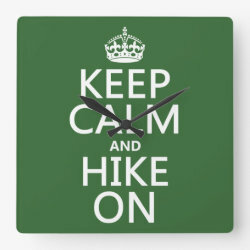 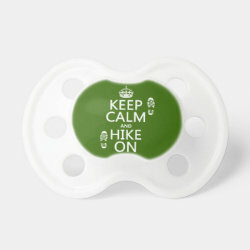 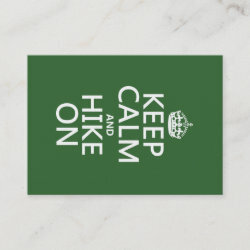 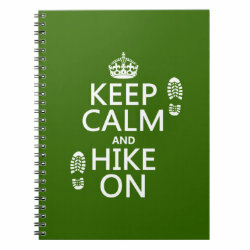 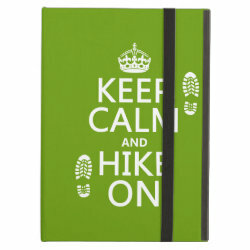 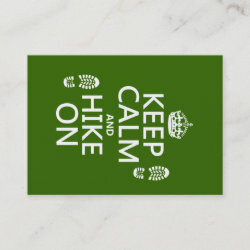 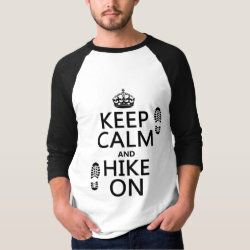 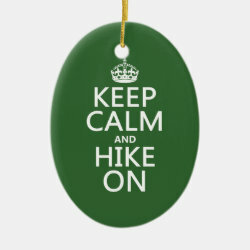 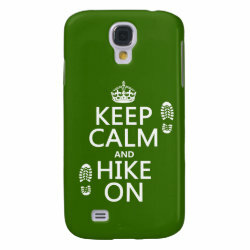 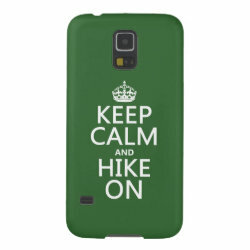 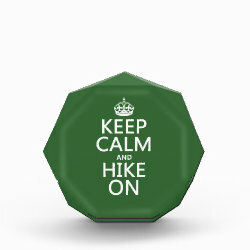 Whether you just like to hike at your local forest preserve or hiked the entire Appalachian Trail last summer, you will love these original customizable More... products with the parody design Keep Calm and Hike On. 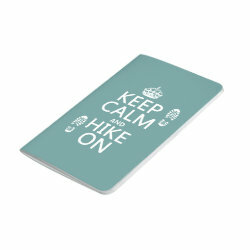 The funny words have two footsteps on either side. 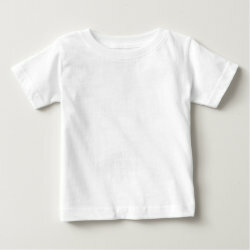 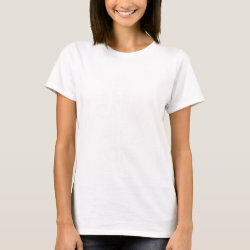 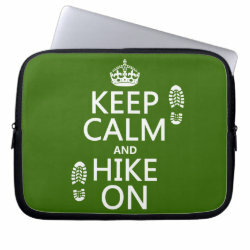 Great gifts here for hikers, walkers and backpackers of all ages. 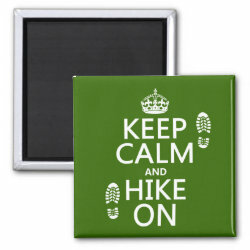 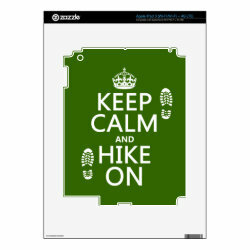 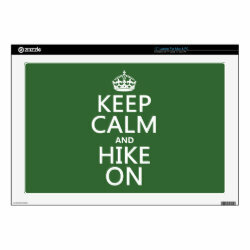 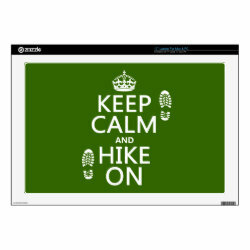 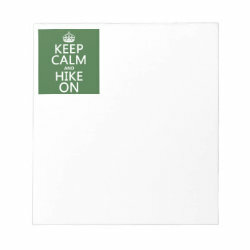 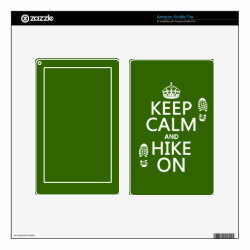 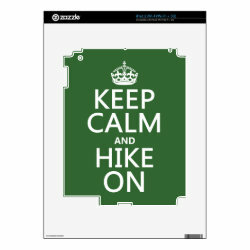 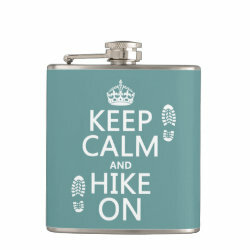 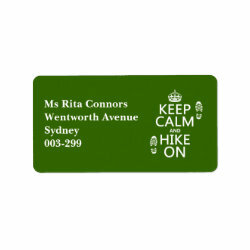 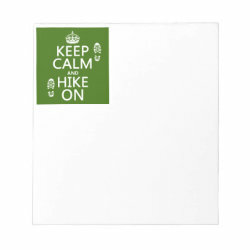 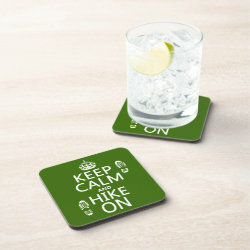 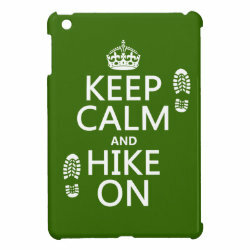 Keep Calm and Hike On Decorative Glass Cutting Board 15"x11"
Keep Calm and Hike On Vinyl Wrapped Flask, 6 oz. 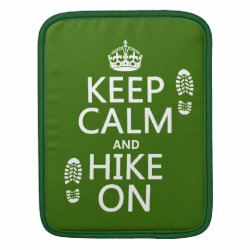 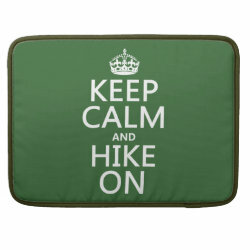 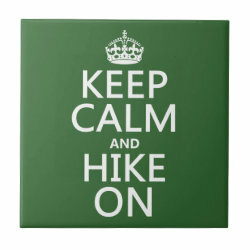 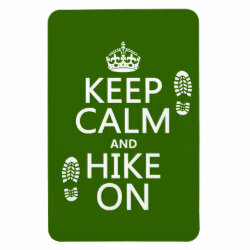 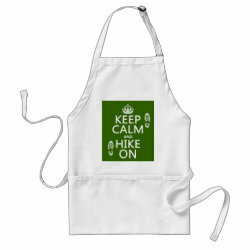 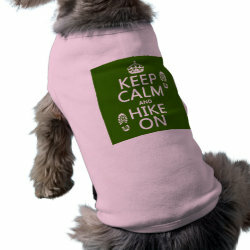 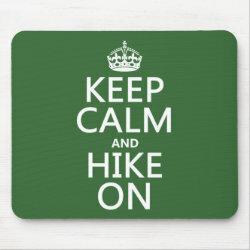 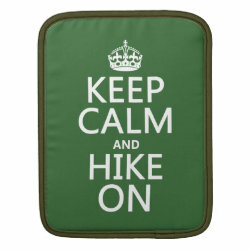 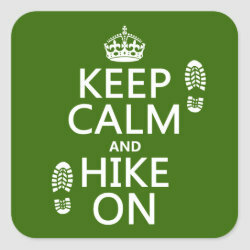 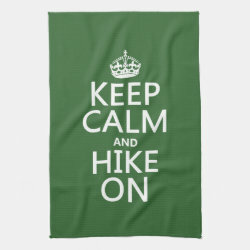 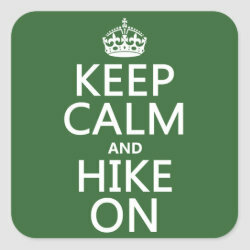 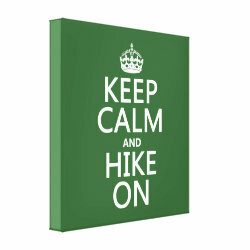 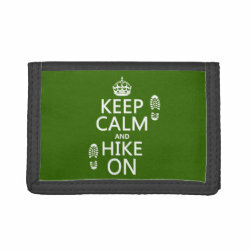 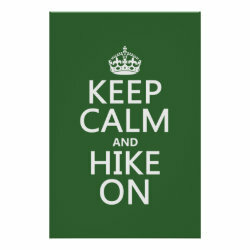 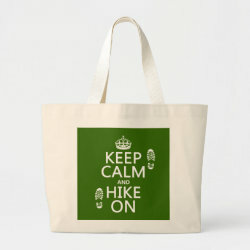 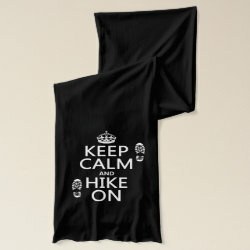 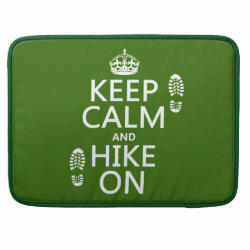 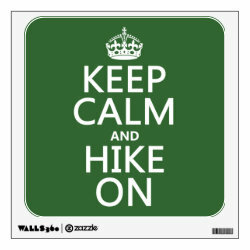 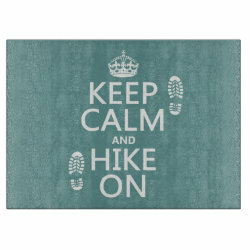 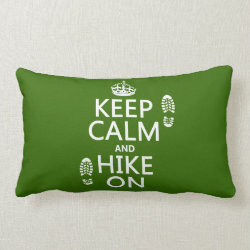 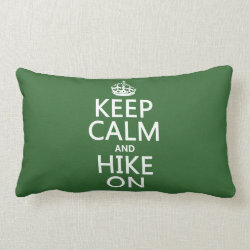 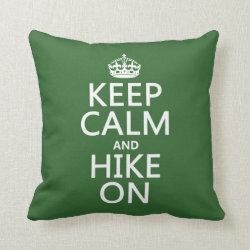 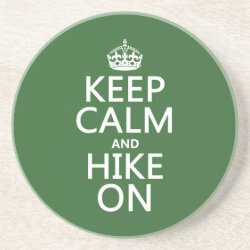 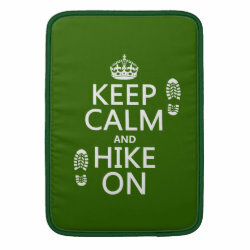 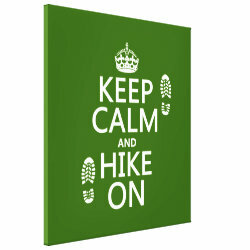 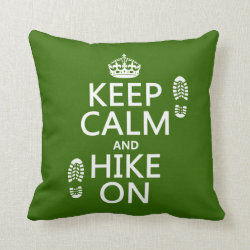 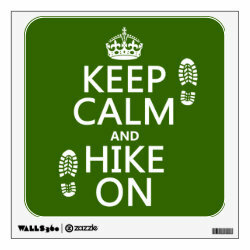 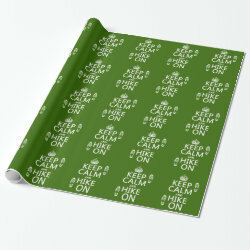 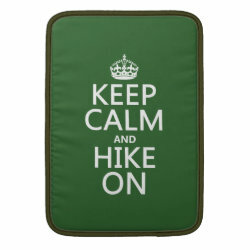 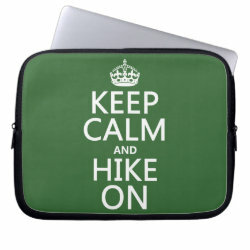 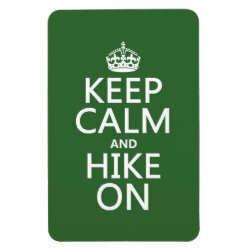 Keep Calm and Hike On Kitchen Towel 16" x 24"
Keep Calm and Hike On Throw Pillow Lumbar 13" x 21"